Metropolitan Specialty Physicians, PLLC (Forest Hills) - Book Appointment Online! 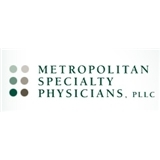 Metropolitan Specialty Physicians is committed to providing comprehensive and compassionate care. Our physicians have expertise in all facets of urologic surgery and in the management of urologic disease.